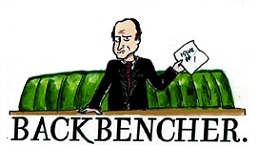 The Backbencher – PMQ’s is dire, but who is to blame? Held as a single session every Wednesday at noon, Prime Ministers Questions is one of the most paramount points of the week. It gives MP’s the chance to speak on behalf of their constituents as well as providing them with the task of holding the government to account. Therefore it sounds like a brilliant format which serves the interest of the public. Or does it? You see, when we start to dissect what goes on, it becomes apparent that PMQ’s is just a scripted roast battle between two elderly aides, who are both as about as funny as a severe aneurysm. Those of you who watch PMQ’s know exactly what I’m on about. It’s the first question the PM gets asked every week and boy is it stupid. “Number one, Mr Speaker” Roughly translated the question is to ask the Prime Minister ‘What their engagements are for the day?’ And every single week the PM replies by saying “This morning I had meetings with ministerial colleagues and others. In addition to my duties in the House, I shall have further such meetings later today.” What a waste of 30 seconds. I mean come on of course she is going to have meetings with cabinet members, it’s her job. 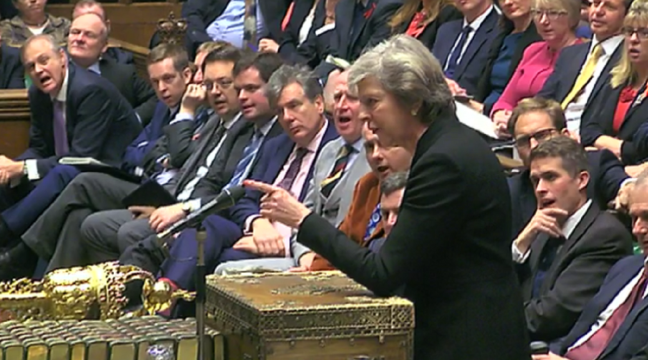 PMQ’s isn’t just a head to head against the PM and the leader of the opposition; it provides backbench MPs with the opportunity to ask the Prime Minister questions about their constituency, depending on what the hot topics of the week are. Some of the all-time great backbencher battles have included the likes of Dennis Skinner trying to rip into Margret Thatcher back in the 80’s, failing of course. As well as the rebellious Kenneth Clarke, a man who knows a thing or two about stirring up a tedious debate. And of course, its these legends which create brilliant moments in parliament which are then shared on social media and ingrained into political history. However, the problem is that it only works when the Q and A taking place is between two opposing figures. What I mean is that PMQ’s is far to inundated with backbench MP’s of the same party asking the PM questions like: “Will the Prime Minister continue to highlight the importance of apprenticeship schemes across the country and look at further them throughout higher education?” Which basically means: “Will the Prime Minister agree with themselves about how good a job they are doing and furthermore can you somehow link this question to Brexit and how much of a success you will make it?” My point is I don’t think it matters what side of the house you are on, what we want to see is the government being held to account properly and I don’t really believe that cleverly worded questions such as we see make for a fair grilling. And yes this has always been happening throughout the history of PMQs. promise he has given and breached every agreement that he has entered into…. There is a lifetime of U-turns, errors and sell-outs. All those Honourable Members who sit behind the Prime Minister and wonder whether they stand for anything any longer, or whether they defend any point of principle, know who has led them to that sorry state.” It is a beautifully delivered speech which many believe sum up the catastrophe that was Blair and perfectly highlights everything he stood for. But the only difference is that Hague could see it long before the electorate did. Nonetheless, it made for a perfect PMQs battled out by two of politics greatest titans. YouGov gives a juicy insight into the publics’ opinion of PMQs and what they think about those in parliament. Smatterings of individuals say that not only do they dislike watching it but they also find it incredibly embarrassing to sit through. On top of that, fellow adjectives such as irritating, childish, cringey and predictable are used to describe the exchange taken place between Corbyn and May. The other side of the stats shows a small percentage of individuals who find PMQs an engaging debate. However, when you calculate all the positive and negative comments up you see that actually 120 people have taken time to state something negative, whereas 47 individuals have decided to praise it. Surprised? I think not. The final issue is that these stats prove something that we have known for years, which is that the people who are most likely to watch these weekly exchanges are people who work in the industry or civil service; with the reason being that it’s their job! It is going to take a while for the tradition to change in parliament, and it’s not a question of party politics but more a matter of how parliamentary debates are conducted and whether or not the current incumbents are debating in a manner which adequately respects and represents the public. Social media has happily played its role in trying to spice up PMQs. However it too has brought harm with it as well, as one of its biggest downfalls is that only 20-30 second clips are being put up on Facebook and Twitter, which tend to involve Corbyn having a go at May over the NHS. Although he may be making a serious point, there is often no contextualisation, and therefore the whole picture isn’t being presented to the audience. It doesn’t matter what party you support I think it’s fair to say there is an issue with PMQs and it does need updating in some way, shape or form.